Mixed up too much soluble oil, so decided to fill the Colchester Master 2500 cutting tank which I never re-filled having moved workshops. It takes a couple of gallons, so I topped up my bucket to two gallons and poured it in. Done that many a time thinking its too low when theres a blockage. Cant see tank unless pry lathe out with 5 ft crow bar, slash backs in the way. Probably average 2 ltrs a day topping up, no leaks. Put the broom over it the rest will evaporate in to the concrete. Hopefully I have pre empted that [ or is it pre emptied ? ] when I did my new lathe. Coolant tank was in one foot with no good access. so moved it out and modified it into a cut down old oil cooled welder tank to drop on the floor, at the back of the footbrake. Whilst i was chopping the tank about I decided to fit a level gauge. 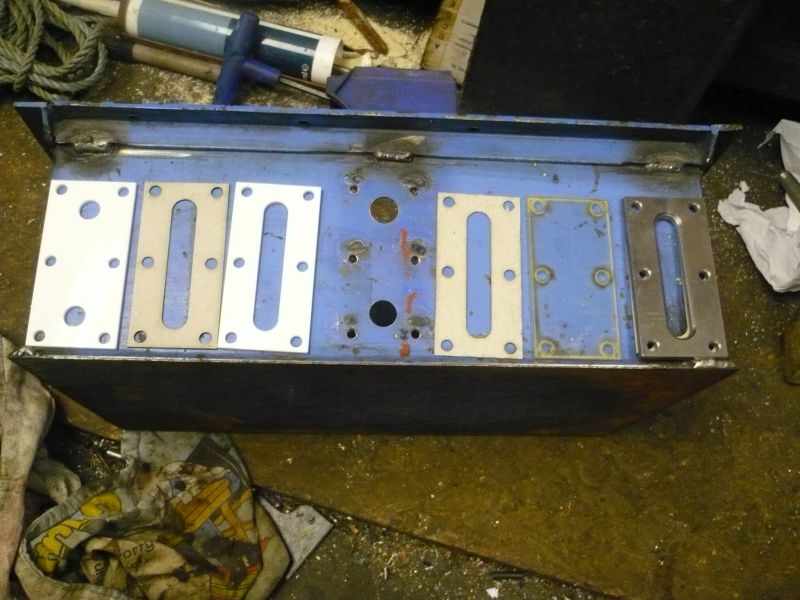 Drilled two holes in the tank then cut three 6mm thick perspex bits on the laser followed by three gaskets and a steel outer cover. Shown before assembly left to right. 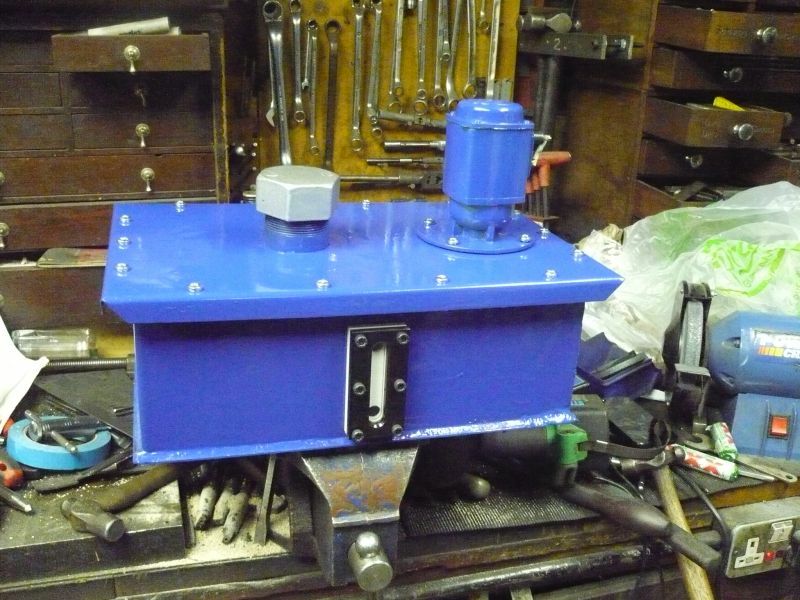 Once assembled and wafted with a Wilco rattle can it looks quite presentable. Before anyone comments about it looking like an Italian flag, white coolant against white perspex, this machine is going to be running neat cutting oil so it shows up well. I hope that you and yours are all well.